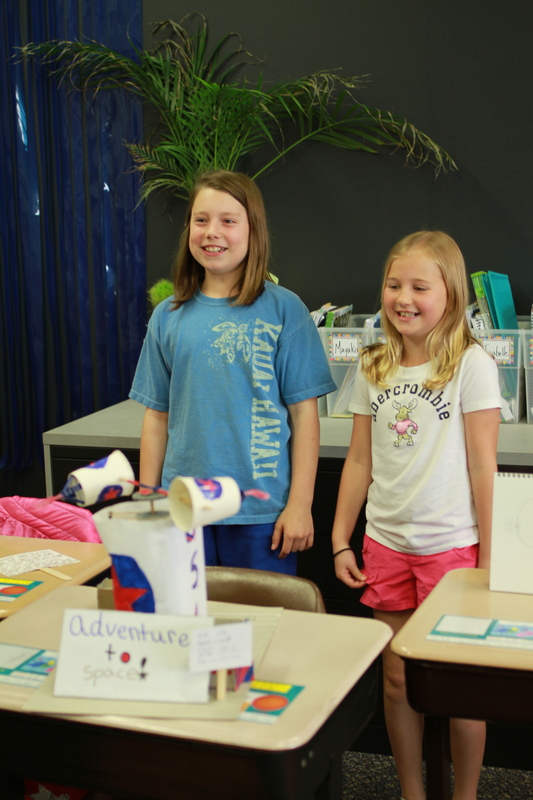 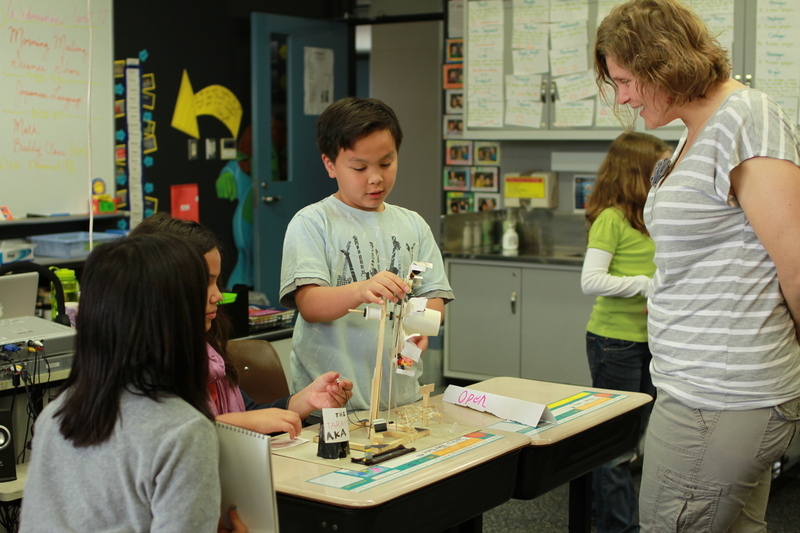 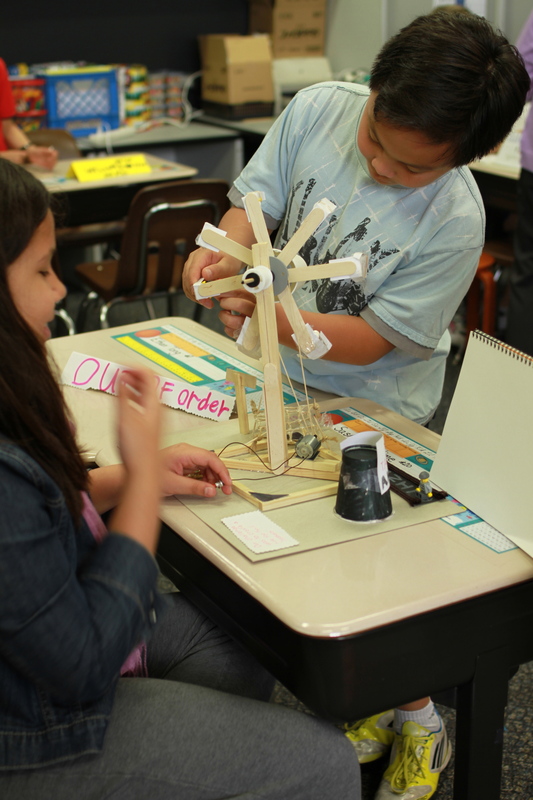 A carnival broke out in the middle of a science unit in Mrs. Karnitz’s fourth grade class. 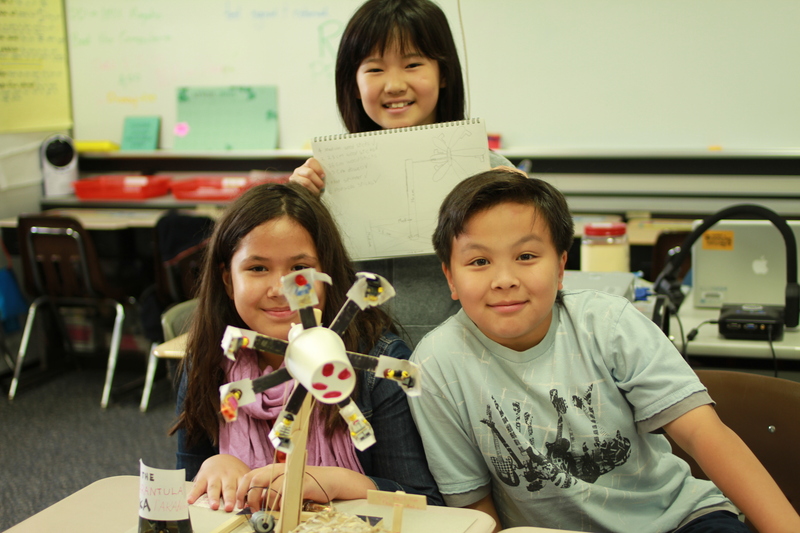 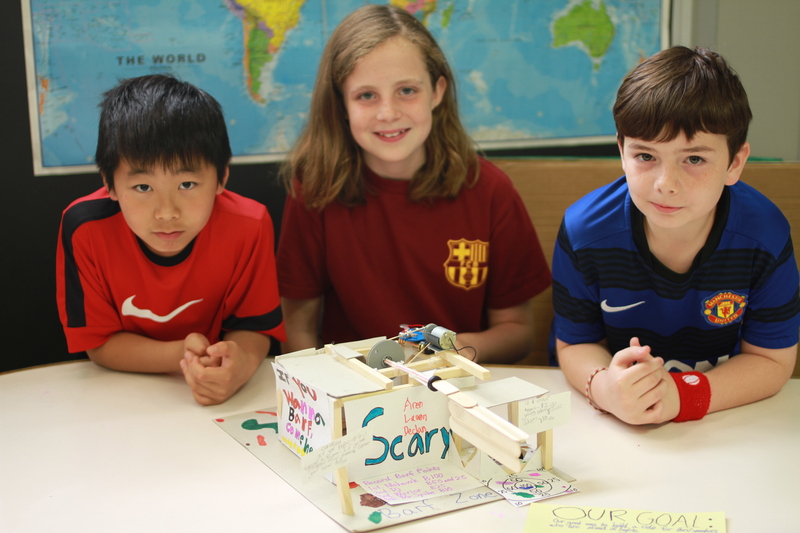 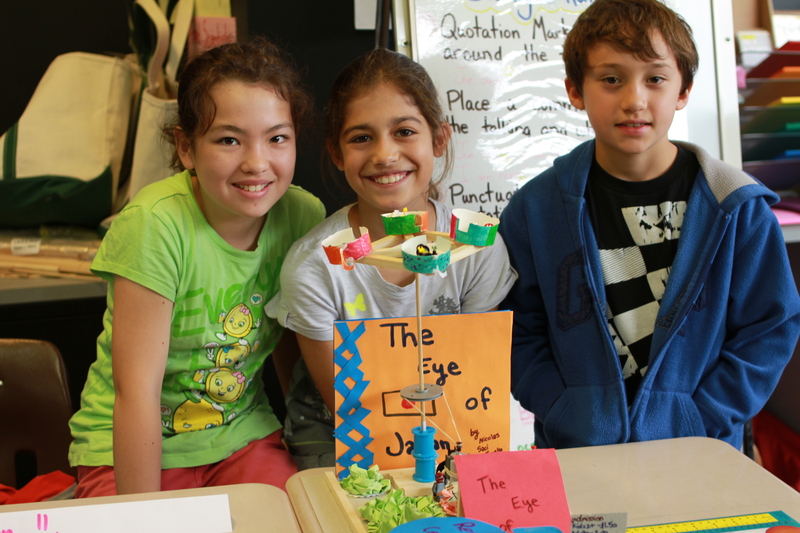 During their latest science unit on simple machines, students were challenged to use their knowledge of pulley systems and electrical circuits to built a working amusement park ride. 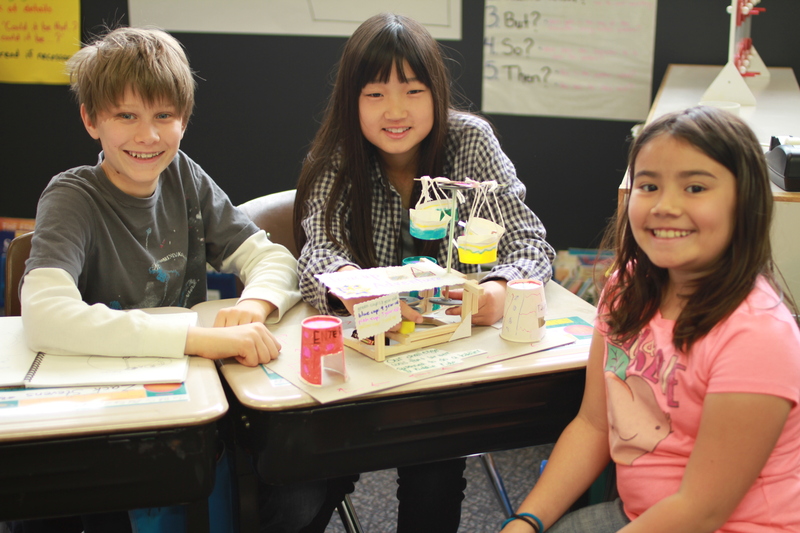 Her class worked in collaborative groups to design, plan, and build their rides using supplies ranging from straws to towels to cardboard. 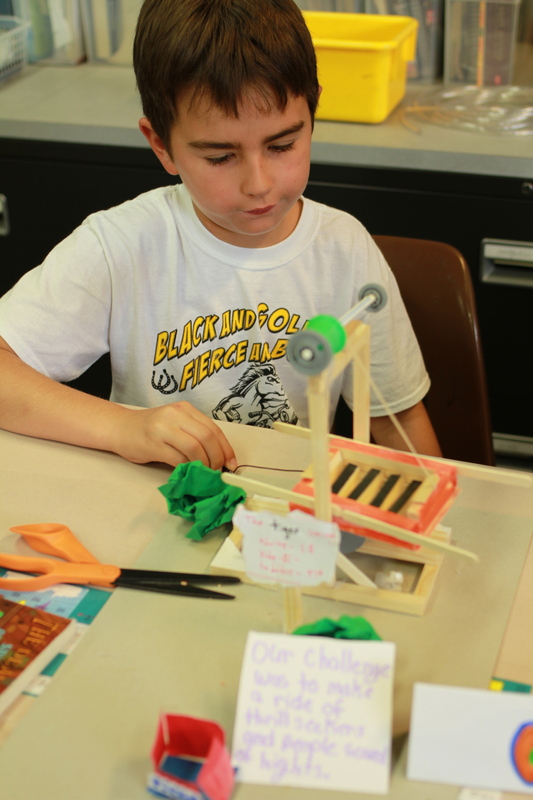 There was sawing, hot gluing, assembling, taking apart and reassembling during the building work days.